The U.S. Bankruptcy Court in Illinois is increasing the Median Family Income for the ‘means test’ based on the Consumer Price Index. Effective April 1, 2016, the U.S. Bankruptcy Court in Illinois is increasing the Median Family Income for the ‘means test’ based on the Consumer Price Index. 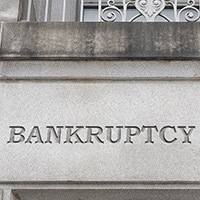 The new income levels qualifying for debtors to file chapter 7 bankruptcy petition have increased across the board by approximately $2,000 annually. A single wage earner earning up to $49,741 in Illinois can qualify for a chapter 7 bankruptcy. A family of 2 can earn up to $63,896 and still qualify for the means test to file a chapter 7. On another post, find out how the means test could affect your outcome when filing bankruptcy under chapter 7 or chapter 13. If you have any further legal inquiries regarding bankruptcy chapter 7, feel free to consult an attorney from Johnson Westra Broecker Whittaker & Newitt, P.C. over a phone call.